Since 1978 (and the start of our Charitable Trust) Europa Worldwide Group has raised over half a million pounds for good causes and supported more than 30 UK charities. We’re passionate about supporting our local communities. Charity work is incredibly important to us and we’re keen to support causes close to the hearts of our employees. Across out network we support popular charity days including Make May Purple for the Stroke Association, Wear Red Day for the Children’s Heart Surgery Fund and Wear a Hat Day for Brain Tumour Research. We have also participated in Red Nose Day for Comic Relief, Dressed by the Kids for Oxfam, Superheroes for Diabetes UK and Christmas Jumper Day for Save the Children. As well as supporting our staff through our 50:50 scheme, we also have a team of Charity Champions based across the business who are leading the way and supporting vital charities across the UK. Our new ‘Charity Champions’ are based on our sites across the UK. These members of staff have all have expressed a passion for charity work, and spearhead the fundraising initiatives in their local area. 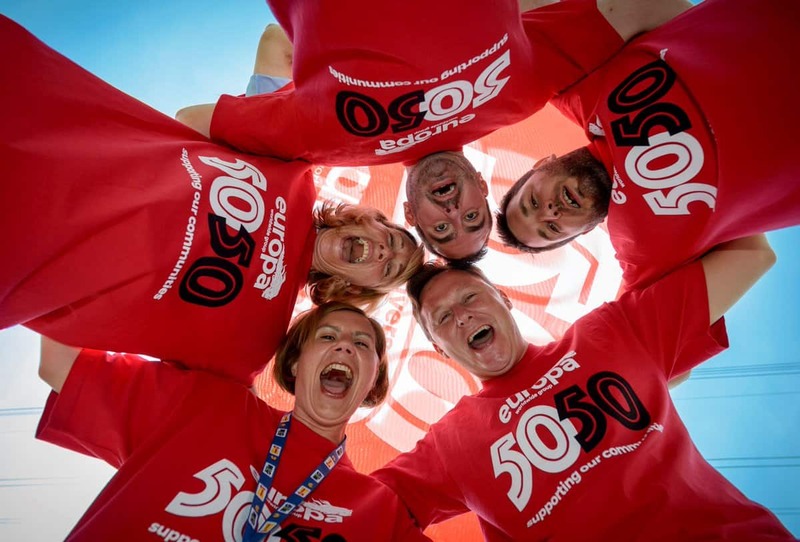 To celebrate our 50th anniversary we launched our first match-funding programme called 50:50 which to date has raised over £17,000 for charities chosen by our team. Each member of the team has the chance to fundraise for a charity of their choice with us matching the funds raised up to the value of £500 per person. Since its launch our staff have taken part in gruelling, fun and inspirational challenges. They have walked, run, swam and baked there way to raise money! 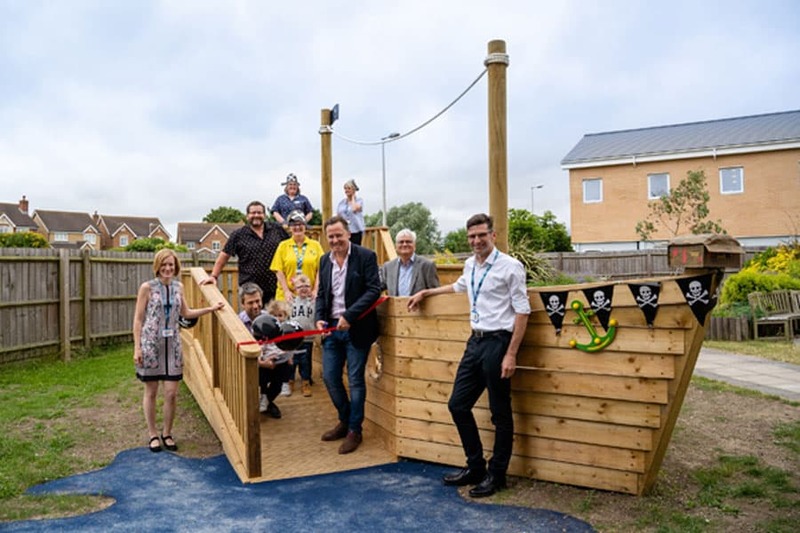 We’re thrilled to have unveiled a brand-new playground at a children’s hospital ward close to our headquarters in Dartford. We donated money to purchase new equipment for the playground of Willow Ward at Darent Valley Hospital giving unwell children a much needs safe out door space. We’re very proud that every year Europa’ staff, suppliers and friends support a number of community initiatives and good causes important to the team. Fundraising brings people together and our initiatives over the years is a great way of supporting our staff while also helping charities close to our hearts.